Yonah Mountain offers terrific winter climbing, with multiple routes that have cables and bolts for top rope or two-pitched climbing. 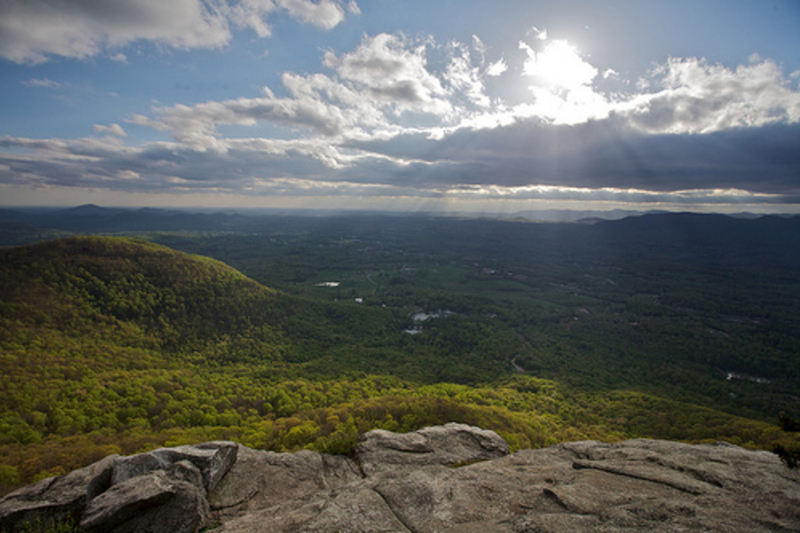 Yonah Mountain has been a longtime site for the Army Rangers, who train for mountaineering and climbing on the cliff faces. Many of the bolts laid in place are from the Army, and the routes have been aptly named and labeled for the group. The mountain is located in the Chattahoochee-Ocoee National forest between Helen and Cleveland, Georgia. 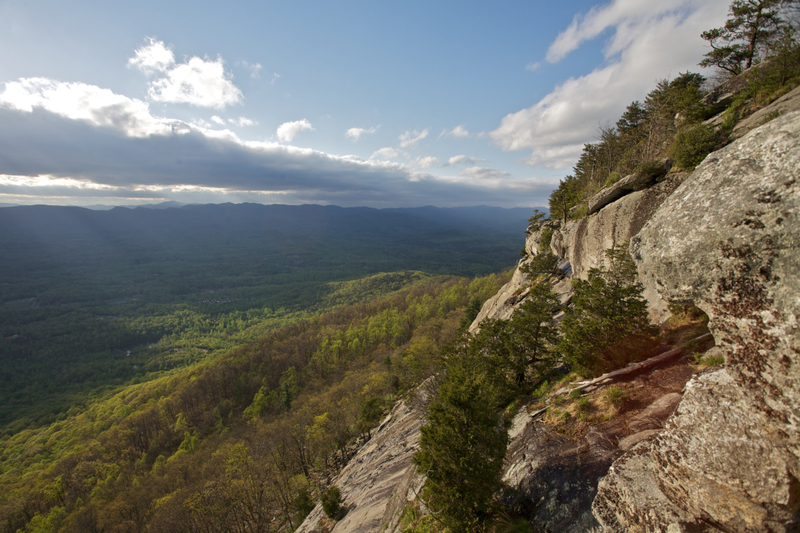 Yonah Mountain peaks at 3,166 feet in a bald, and the face is composed of granite brows. Climbs progress to friction climbing for the top 200 feet. You’ll find plenty of bolts still in place for topropes. You can get detailed betas on problems here. Areas are labeled as Main Face, Lowers, White Wall and Middle Wall. Lucy in the Sky with Diamonds (5.10a) and Afternoon Delight (5.8a). On the White Wall, try some reachy moves on Return of the Jodi (5.10b/c) and mantle the flake on Think Pink (5.10b/c). 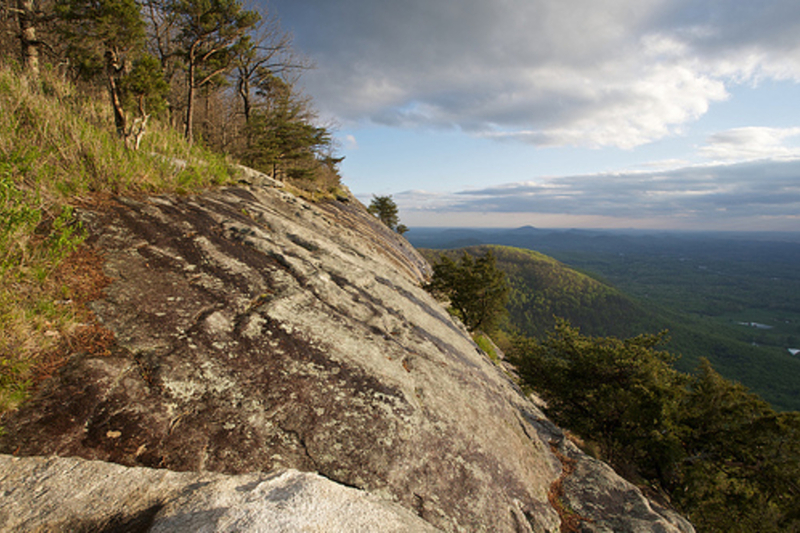 Both are single pitch spots that are popular on Yonah. 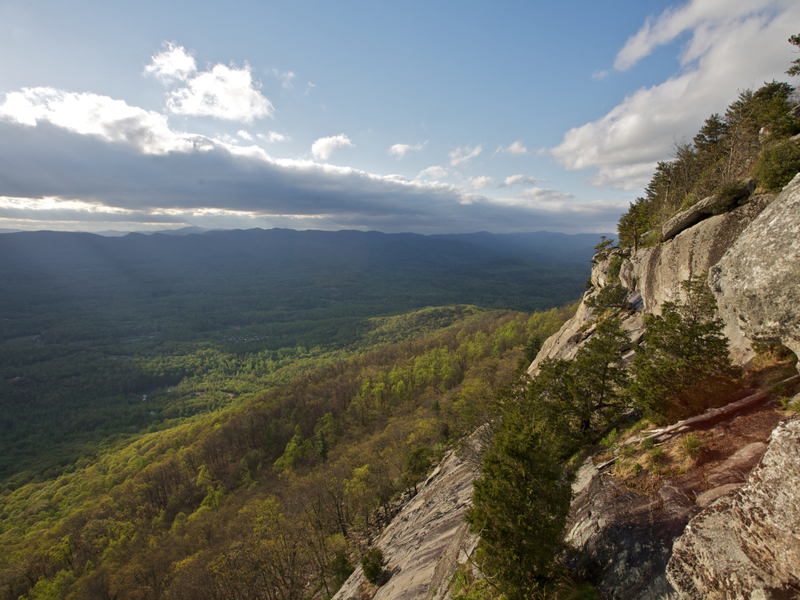 Climbers will tell you Yonah Mountain can’t be characterized so easily into sport or trad, but according to Mountain Project, a majority of the routes suite trad climbing. There are plenty of points to secure a top rope in the Army Balance Climb area, but they can also be led as well. Main Face routes are heavily bolted and work well for sport climbing. Climbers come to this domed rock for its steeper climbs and advanced rock faces. The best time to grab onto this rock is in the cooler months- fall through winter, because the rock faces southwest. It is brutally hot in summer, unless you climb the Lowers. Yonah Mountain is just 5 miles south of Helen. From the town, you’ll drive south on State Route 75. Turn onto Chambers Road and follow the gravel road to the parking lot. Parking is free. From the lot, it’s a 1.5-mile approach to the campground that leads to the cliffs. You’ll feel like the trail is squeezing in on you as it becomes craggy, and then you’ll cross over a slab of living granite rock. This marks the main climbing area. A thick cable is on the far side of the granite, for those who need assistance. When the Army is training, they have control over the cliff faces. There are no bathroom facilities at the trailhead. A 60-meter top rope is adequate for climbing in this area. The approach is mainly uphill, so a rack is not needed.